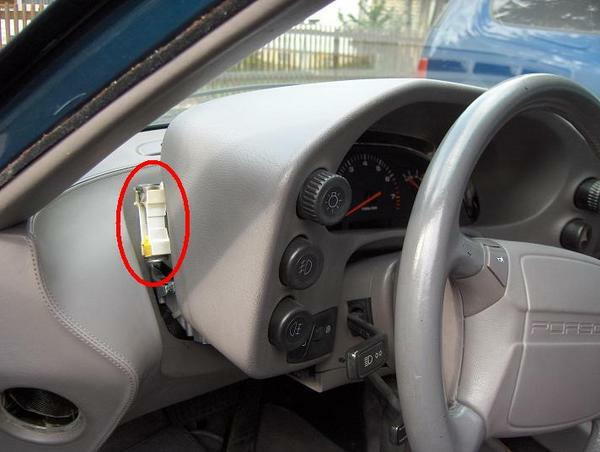 I already wrote a post on how to remove the instrument pod without removal of the steering wheel before. I had to do it again yesterday to change some light bulbs in the instrument cluster. So I took some pictures for all non believers, it can be done! 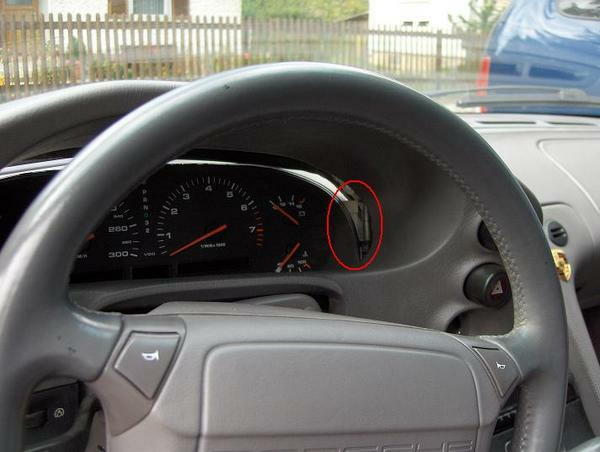 I also found out what bulbs Porsche uses for the gear indicators and all other back lights. This should make the well known Radioshack bulb replacement procedure unecessary. First we start with the pod, a couple of fasteners have to be removed. 1. 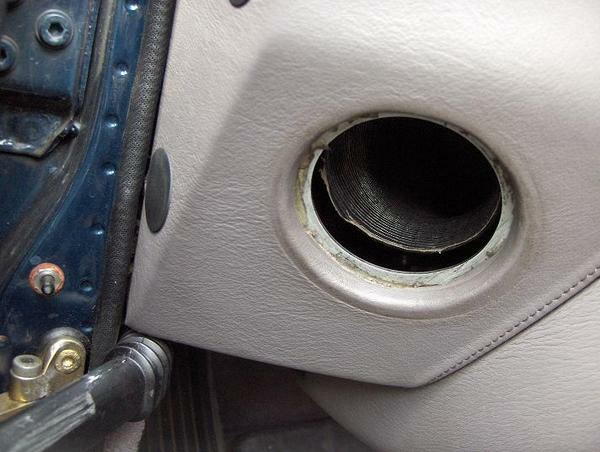 Take off the rubber grommet between the dashboard and driver door for the air vents. Behind there you will find a 10mm nut, remove. 2. 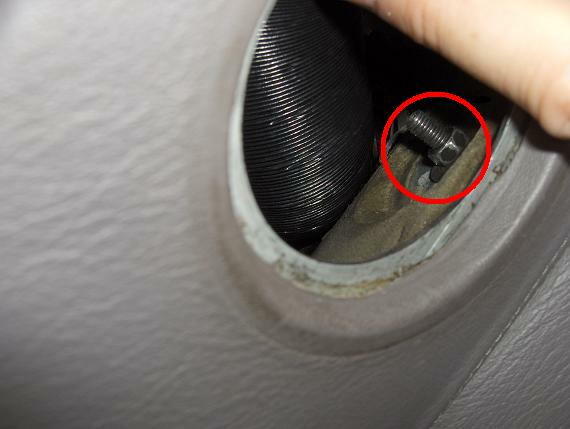 Remove the alan bolt under the steering wheel. 3. 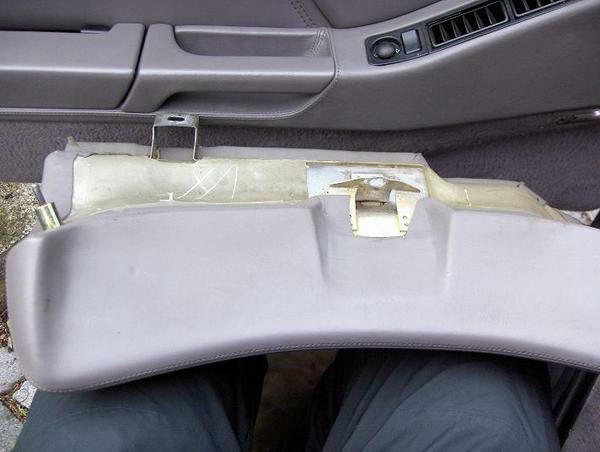 Remove the carpet from the center console. 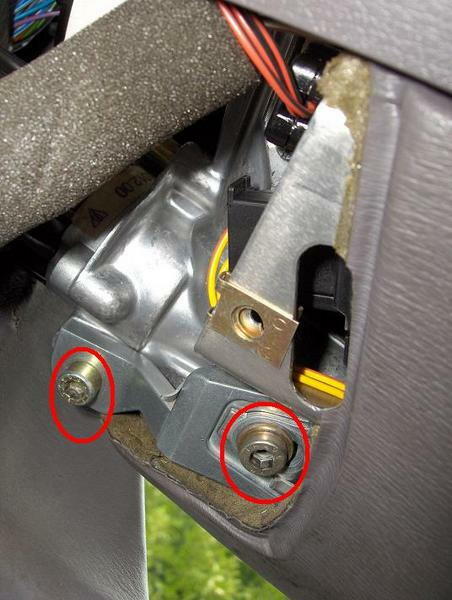 Behind there you will find two 13 mm bolts, remove. 4. 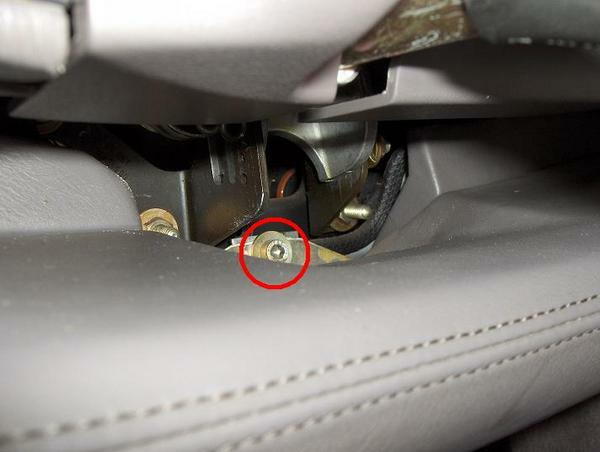 Remove the 10 mm nut under the RDK ECU. The knee protector panel can be removed now. 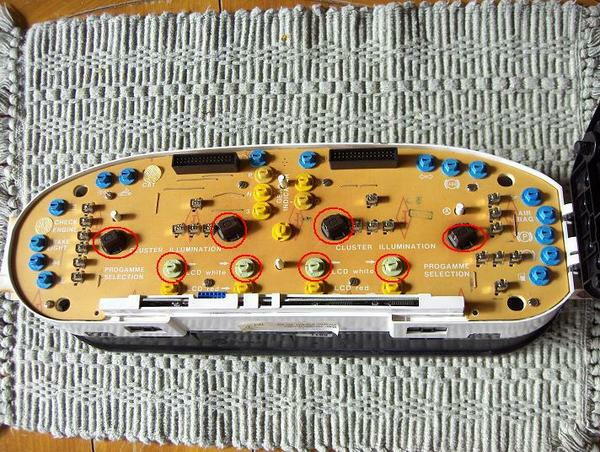 Under the pod you will find 2 plastic covers held in place with two philips screws, remove them and the covers. 4 alan bolts come in view remove those too. Make sure that you keep them at the correct spot, they have three different lenghts. 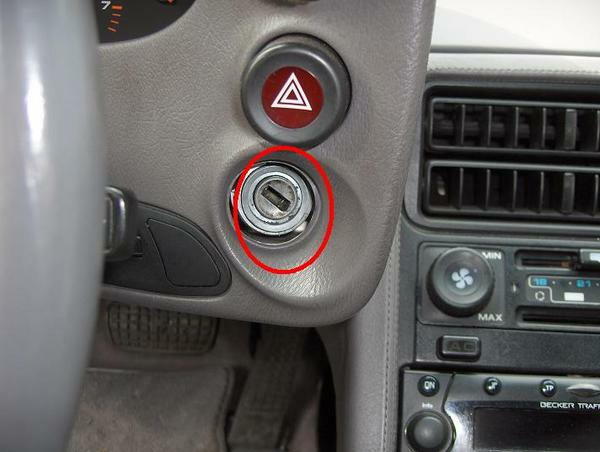 Remove the rubber grommet around the ignition key lock. The pod is loose now. Move it gently over the ignition lock and pull it towards the steering wheel. 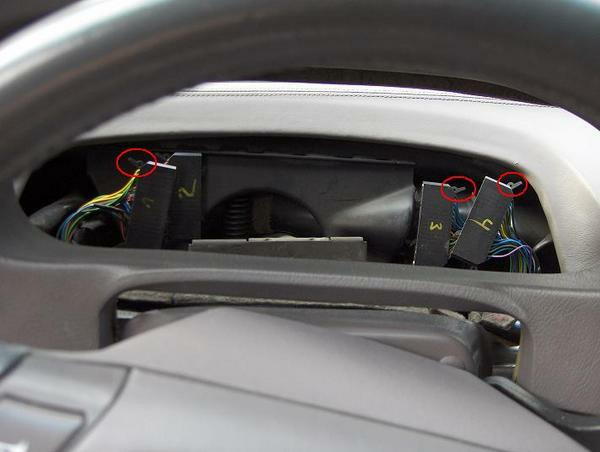 The instrument cluster is loose too and is only held in place on the right side, inside the pod. To remove push it gently in direction of the driver door. Now the tricky part the removal of the 4 connectors in the back of the cluster. 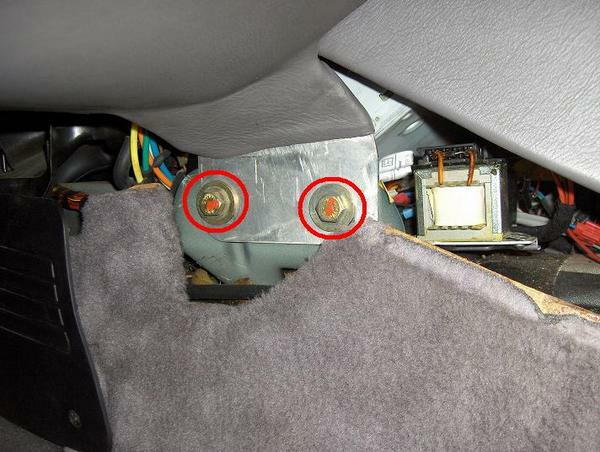 The 4 plugs are kept in place by little levers. 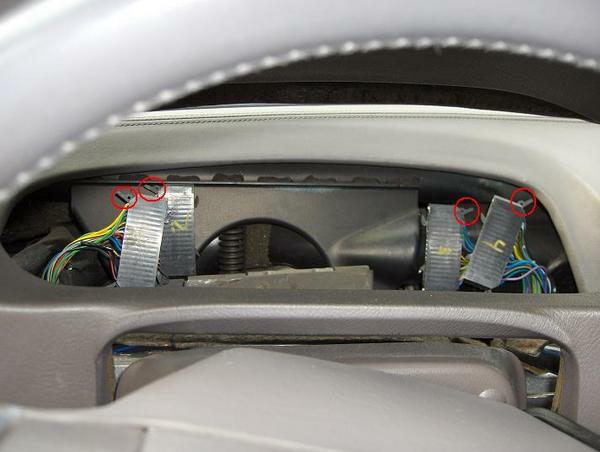 They are in a horizontal position when locked and pushed up and down to release the connector. 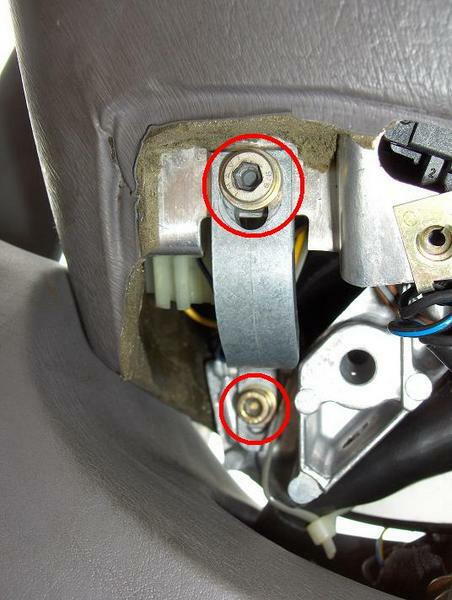 By pushing the levers away from the connectors they are releaased and can be removed. When you assembel everything later just push them on the plug and move the levers back to the original position. 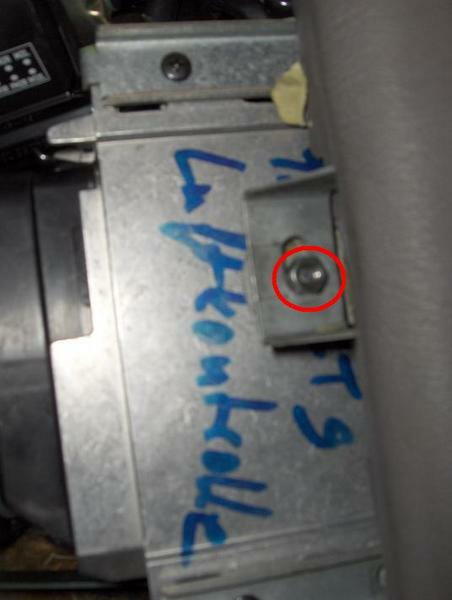 They will pull the connector back on to the CB. 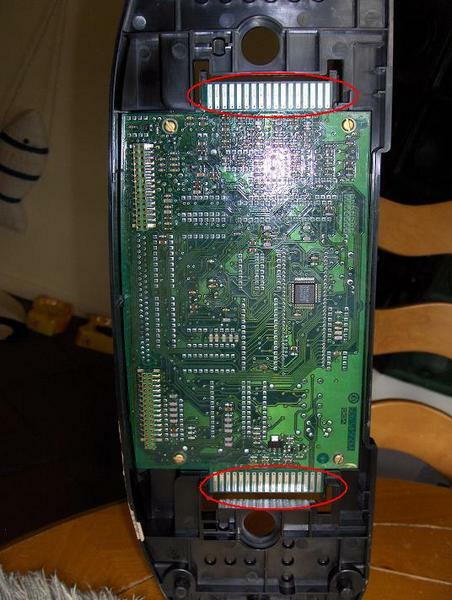 BTW the connectors are coded, so they can't be pushed on to the wrong CB position. 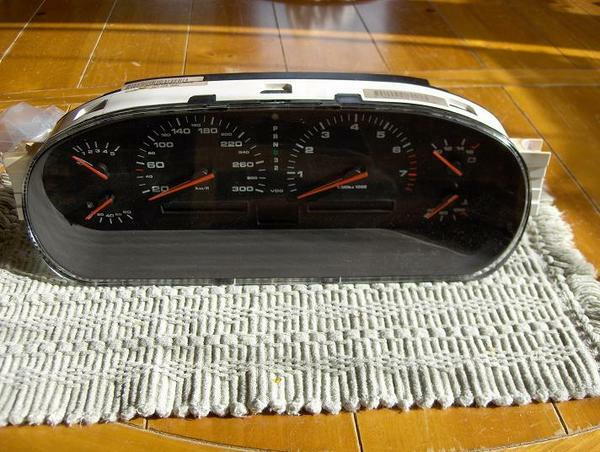 The removed instrument cluster, turn the 4 fasteners in the back by 180 degrees and it can be opened. Back view of the light bulbs. All the little yellow light bulb holders are 12V 1.5 Watt bulbs (total of 10). 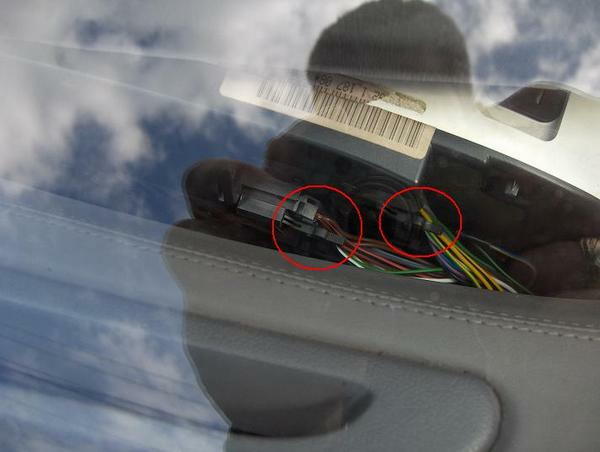 They are responsible for the gear selector light, computer display back lighting in white and red. 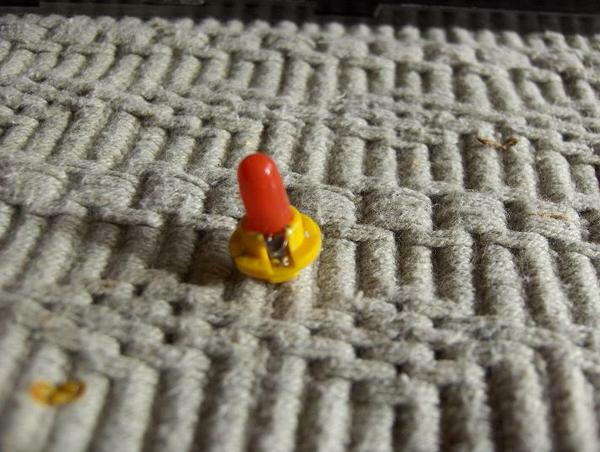 For the red light (total of 4)Porsche uses the same bulb and covers it with a red rubber cap. Know the bad news: The light bulbs are f$%^&*% expensive, the cost more than 9 Euros in Germany EACH! Is there a way out? Yes there is! 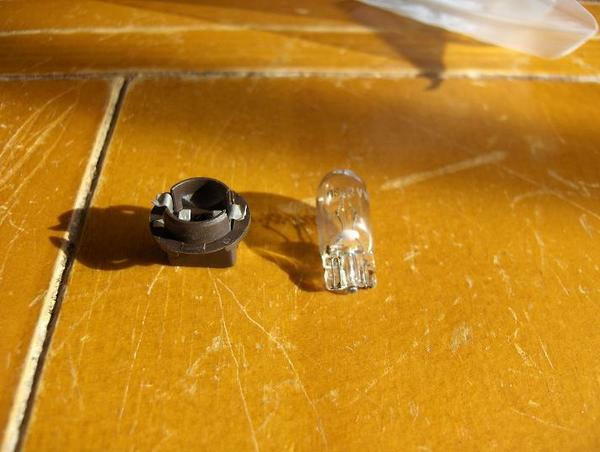 The 4 back light bulbs (brown bulb holder) are wedge base bulbs. Specification W2,1x9,5 W3W. Porsche uses 2 Watt bulbs, I replaced them with 3 Watts. That's all guys. I thought I share my knowledge with you and save you some money if necessary. All light bulbs in the cluster are more than $ 250 if you buy them at the dealer. Now you can get them for al lot less. Please let me know about your ordering experiences with US based companies and what you paid. Assembly of the pod in reverse order BTW. Be gentle on the alan bolts under the pod! I use some Loctite on those, to prevent future rattles. 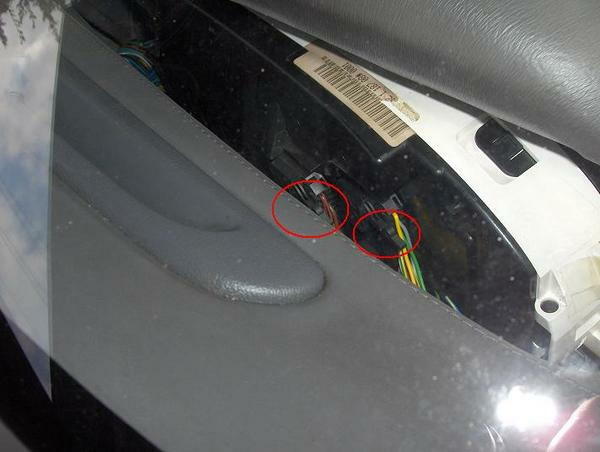 Tip: Use some tape on the left side of the instrument cluster to hold the 2 rubber grommets in place during assembly. Awesome writeup my good friend. My supplier here in Germany has them all in stock. It would cost a $ 25 TOTAL (incl. shipping within Germany) to change ALL bulbs. We just had a guy in Germany who changed all bulbs for little more than 200 Euros (about $ 270) with OEM parts from the dealer. Schocki - excellent pod write up. Equiv bulbs can also be sourced here - already done it from Mouser Elect. probably about the same price as you note - was several years ago. hey also have the mini bulb "condom" things in multiple colors. I say equiv. because they have a different base color - but funct. the same. That leather dash is pretty! All leather except for the pod. Heated seats but no rear AC. Nice to know it can come off with the steering wheel left alone. I did notice that in comparision to the MY89 pod, there is a lot more space between it and the dash. I bought Porsche's 4 main bulbs, and they sent me 3W bulbs as well. So anyone that needs the 4 main bulbs and wants to stay stock at 2w, it aint going to happen. I bought 4 from an auto parts store and the 4 Porsche ones. They are identical. The older style with the plastic at the ends apparently is NLA. Yes, GREAT write up. I like the color of your intake..what manufacturer/source and color description is it? I would consider painting my 86.5 wings in the same. I bought the intake tubes first from Ebay first (Garritty from 928 Motorsports I think) and got the powder color matched. It is red textured finish. Assume this write-up works the same regardless of the MY? Thanks. Beautiful write-up! I'm a surgeon, and there's some operations I do from the front or the back or sometimes both. Your procedure reminds me of some of the "minimally invasive" things we do. Nice documentation too. the write up is not for all MY.